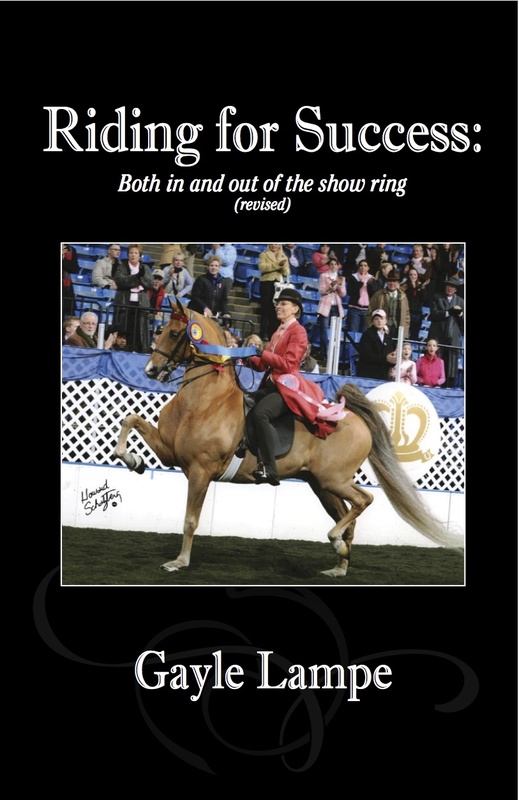 Hailed as one of the most influential books on the subject of saddle seat riding, Gayle Lampe’s acclaimed hardcover “Riding For Success: Both In And Out Of The Show Ring” has been revised and is now available in large paperback form. With the addition of several new chapters, the book’s 400-plus pages are more relevant than ever. Over four decades, Gayle Lampe has established herself as a renowned author, judge, coach, World’s Champion rider, and professor, as she helped found the nation’s very first four-year academic degree program in equestrian science at William Woods University in Fulton, Mo., and served as saddle seat program director there for 41 years. The revised edition of “Riding For Success,” which includes updated information as well as new quotes and explanatory photographs, covers everything from correct riding position and aids, to instruction on riding all five gaits and proper grooming. Later chapters deal with preparing both horse and rider for a show, dealing with show ring anxiety, and tips for judges. Finally, new chapters include: Blemishes, Lameness, Unsoundness; Faulty Ways Of Traveling; Stable Vices; What to Look for in a Good Lesson Horse; and How To Obtain Lesson Horses. The book is an essential addition to any equestrian’s bookshelf, from the beginner rider to the World’s Champion instructor. It also makes a great gift, or a unique and desired horse show trophy or prize.